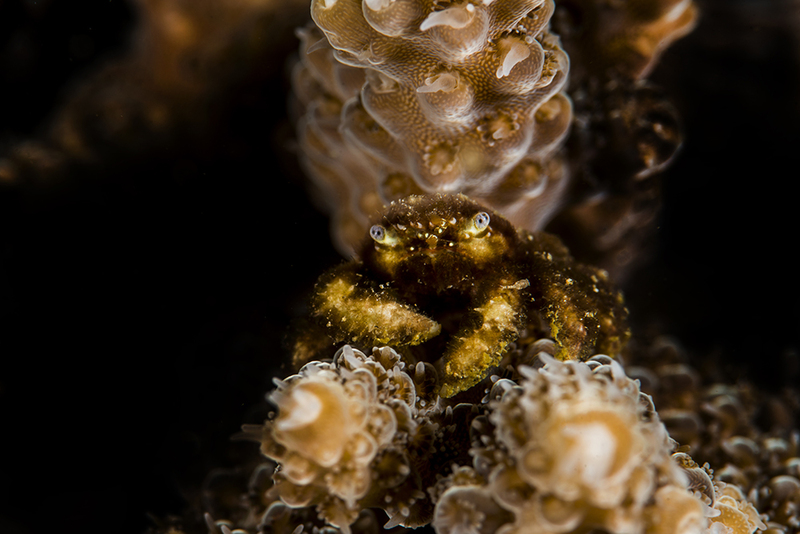 One of the groups of animals I find the most intriguing as a photographer are the various genera of coral crabs. I’m not necessarily happy about this; they’re damn hard to photograph. 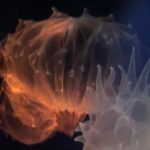 Here’s a little about these interesting creatures and just how I shoot ‘em. 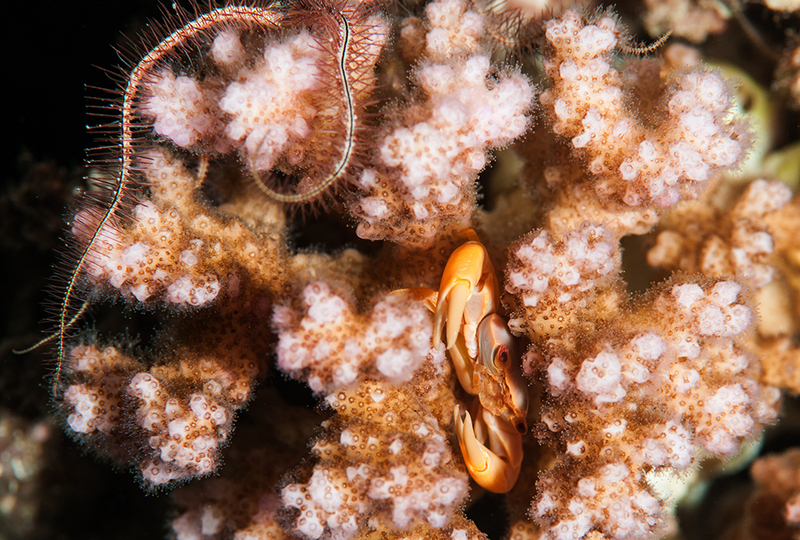 It was once thought that coral crabs, or coral guard crabs as they’re sometimes known, were simply parasites that spent their time eating coral tissue and mucus. 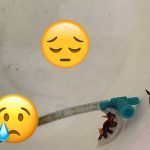 We now know that the crabs perform quite useful services, including, in some cases, defending their hosts against predation by species such as the Crown of thorns starfish. They have been shown to ‘nip’ the stars’ delicate undersides and tube feet. 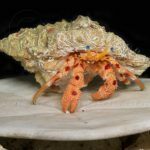 The crabs are also assumed to perform housekeeping duties, clearing corals of detritus and algae. In return, the corals produce mucus (in response to the crabs’ movements) which forms the crabs’ primary diet. 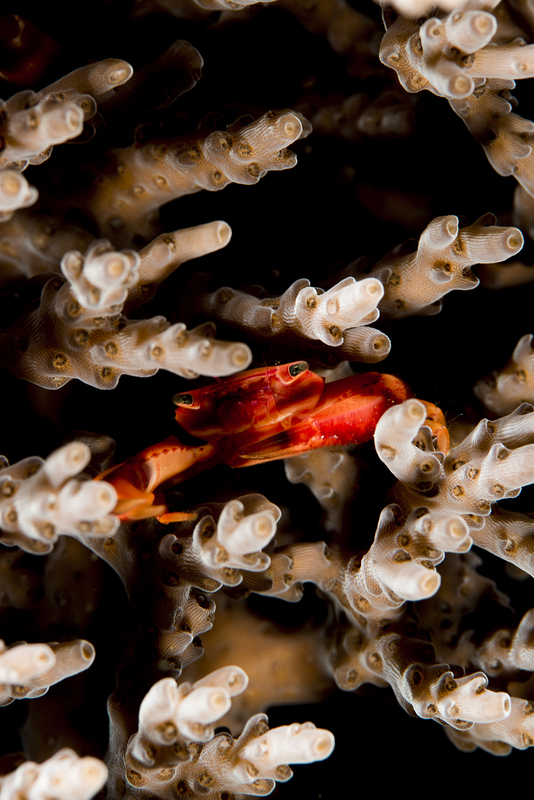 Coral crabs are mainly found in branching coral species such as Acropora, Pocillopora, Stylophora, and Seriatopora. 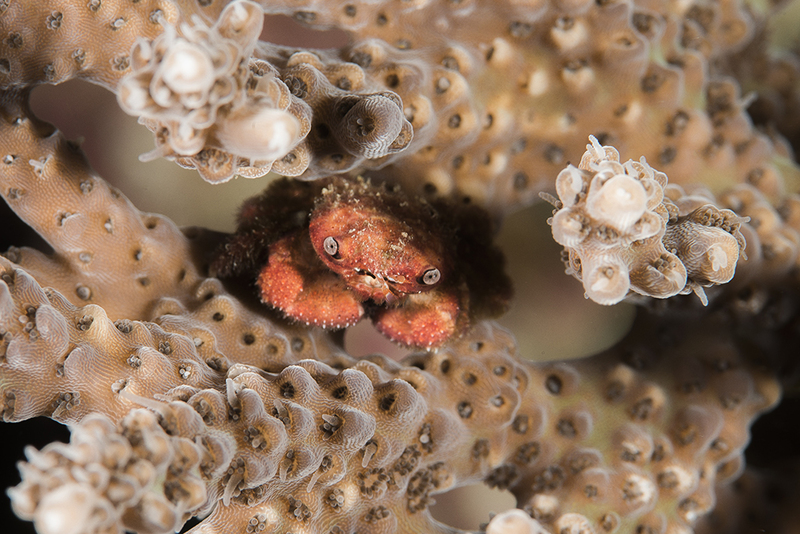 Do note though that some apparently beneficial crabs may be coral munchers! 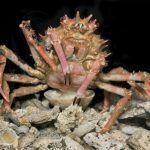 Xanthid species crabs (Gorilla crabs) will consume coral tissue. Photographing coral crabs calls for excellent buoyancy skills, being that you’re staying very close to fragile corals, and a good deal of patience. These are small creatures that will often scoot back into their hosts’ skeletons as you frame your shot. 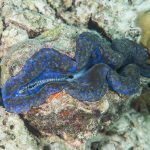 I often spend my time upside down pointing my camera down into the coral colony and shooting a great number of shots to get a few I’m pleased with. As you’d expect, a macro lens is necessary, but the shallow depth of field offered by these lenses means you must try extra hard to get the animal fully in focus. If in doubt, go for the simplest option and aim to get the eyes sharp.